On the border between the provinces of Cáceres and Badajoz is the Sierra de San Pedro, in the southern plateau of the Iberian Peninsula. The protected area is some 115.032 hectares. It is bounded in the northeast by the river Ayuela, while the rivers Tagus and Salor flow in the north. To the south the landscape gets progressively more undulating until it comes to an end abruptly at a fault line. Here the mountain range gives way to pasture. 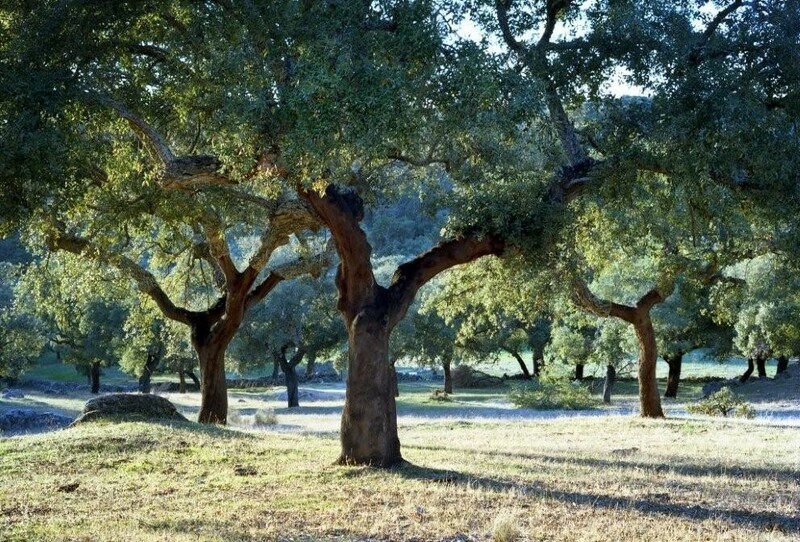 The most complex and mature ecosystems are oak and cork oak groves in the form of rangelands but there are areas of scrubland, grassland, olive groves and other crops. Along riverbanks alder and ash grow too. The Tamuja or tamujo is native to the Luso-extremadurense region and is present here thanks to its excellent adaptation to drought and lack of moisture, as well as floods and extreme cold. In the thick of the Sierra de San Pedro you can see many of Europe’s threatened species of fauna, including the most famous Iberian species: the wolf and lynx. The birdlife here is also exceptionally important. Half of the regional population of Spanish imperial eagle, 21 pairs nest here, as do other species of interest such as the golden eagle, the black vulture, griffin vulture and the black stork, the eagle owl and the crane. 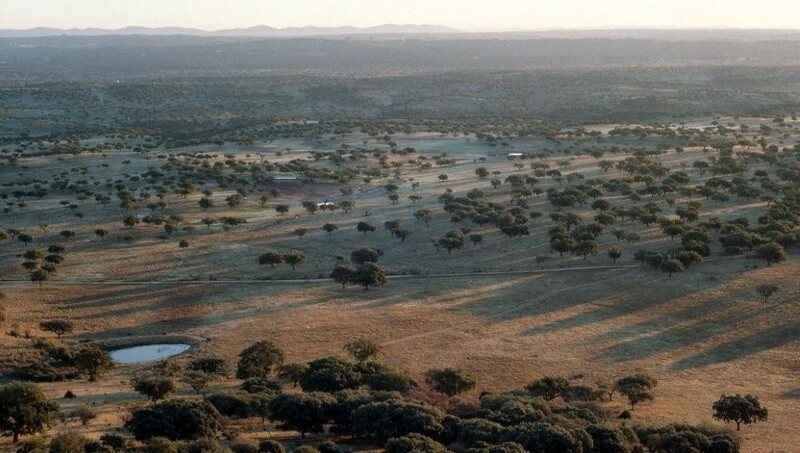 Inhabited since prehistoric times, the first inhabitants of the boroughs of the Sierra de San Pedro Community date back to the Paleolithic period: standing stones, dolmens and megalithic remains attest to this. This area boasts the largest and best preserved collection of dolmens in Western Europe, declared a Megalithic Complex of great cultural interest. Roman rule made its mark on the whole area, but most vestiges: castles, walled areas, sanctuaries, parish churches and hermitages are from the medieval period. From other times there are several national historical monuments (such as the Church of Rocamadour of Valencia de Alcántara), buildings and historic areas (such as the Gothic Quarter of Valencia de Alcántara) and a large number of churches and chapels of architectural interest. 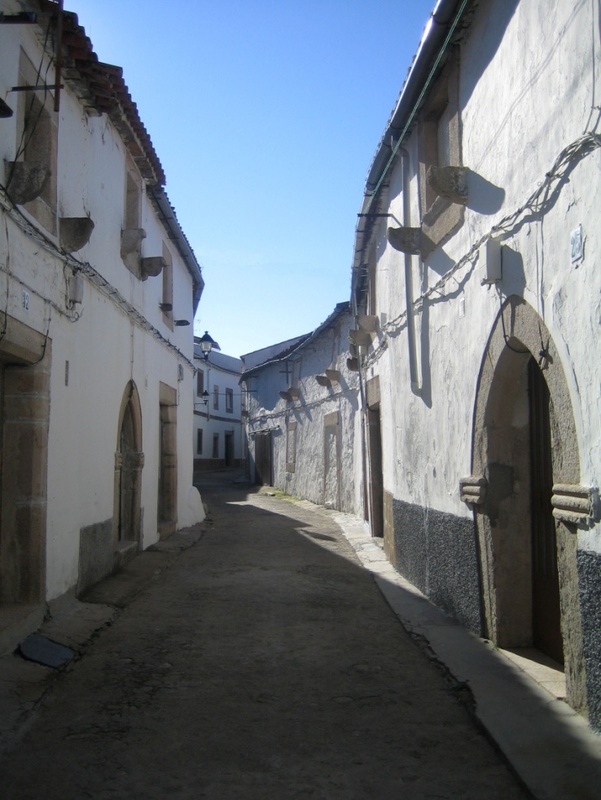 In the Sierra de San Pedro we can found the following towns of the province of Badajoz: Alburquerque, San Vicente de Alcántara and Villar del Rey; and Aliseda, Cáceres, Carbajo, Herreruela, Membrío, Salorino, Santiago de Alcántara and Valencia de Alcántara, of the province of Cáceres. There are a wealth of tours and trails to discover what the Sierra de San Pedro has to offer. The tour of the dolmens, ornithological trails, walks through the Gothic Quarter, etc. Delightful viewpoints are dotted all over the area. Sources: Information provided by ACER. Associació per a la Conservació de l’Entorn i la Recerca; and extracted from www.mancomunidadsierrasanpedro.com and Wikipedia.